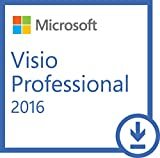 Microsoft Visio (formerly "Microsoft Office Visio") is a vector based drawing and diagramming program, that is particularly orientated towards (and popular with users so inclined) drawing technical diagrams such as flowcharts, network topologies, organizational charts, projects charts, and concept maps. At the time of writing, the software is available only for the Microsoft Windows operating system. Professional - Everything in the Standard edition, plus more templates for advanced diagrams and layouts, as the features for connecting diagrams to data sources. Premium - As the Professional edition, but further diagram types with intelligent rules support, validation, and diagram breakdown ("subprocess") support. 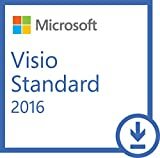 Microsoft have published a chart at http://office.microsoft.com/en-us/visio/visio-edition-comparison-FX101838162.aspx comparing the editions. Whether you want to capture a flowchart from a whiteboard, map an IT network, build an organizational chart, document a business process, or draw a floor plan, Visio helps you lay out information in a way that's easy to understand. Pre-crafted starter diagrams and contextual help make it easy to get started. Use smart shapes to save time, and leverage new themes and effects to customize and build professional-looking diagrams faster. Collaborate however you want. Work together on the same diagram at the same time, or chat via Skype for Business. NetDepict is the only network drawing software utility that produces hyper-accurate, professional-grade Visio network diagrams of your network and IT layers. 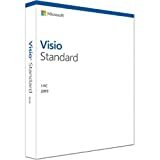 Which edition of Visio 2010 is right for you?